Gord Downie has always been a flamboyant showman. For the Tragically Hip's latest tour, he's wearing that style on his sleeve. 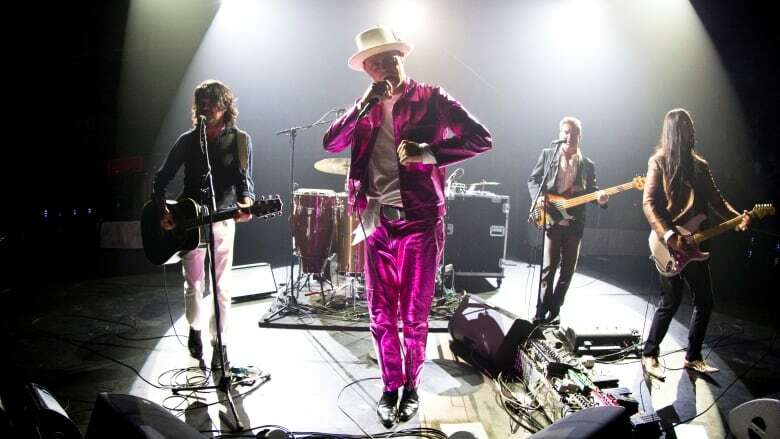 Downie has been sporting a collection of brightly coloured metallic leather suits during the band's Man Machine Poem tour, which kicked off in Victoria on Friday. Izzy Camilleri, a Toronto-based clothing designer, worked on the bold creations with Downie, which include hot pink, turquoise, silver and gold suits. She says she and Downie started collaborating on the look last September, before he learned he had terminal brain cancer. According to a spokesperson for Camilleri he'll be wearing three of the outfits during each show. Downie isn't limiting himself to the metallic leather: he's also wearing accessories custom-made for him by Toronto designers. There are Bob Dylan-inspired hats designed to match each suit, created by Karyn Gingras of Lilliput Hats, and ankle boots with lyrics from Ahead by a Century lasered into the soles, courtesy of Jeff Churchill of Jitterbugboy. 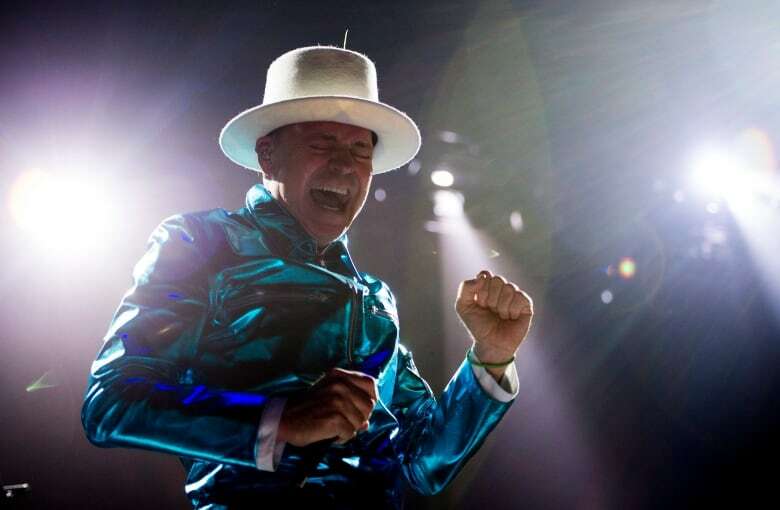 Camilleri says Downie kept his wardrobe plans secret from his bandmates — he only revealed his wild look at the tour's kickoff in Victoria on Friday, when he strode onto the stage in the hot pink suit. She says Downie wears the suits well and is having a lot of fun with the look.